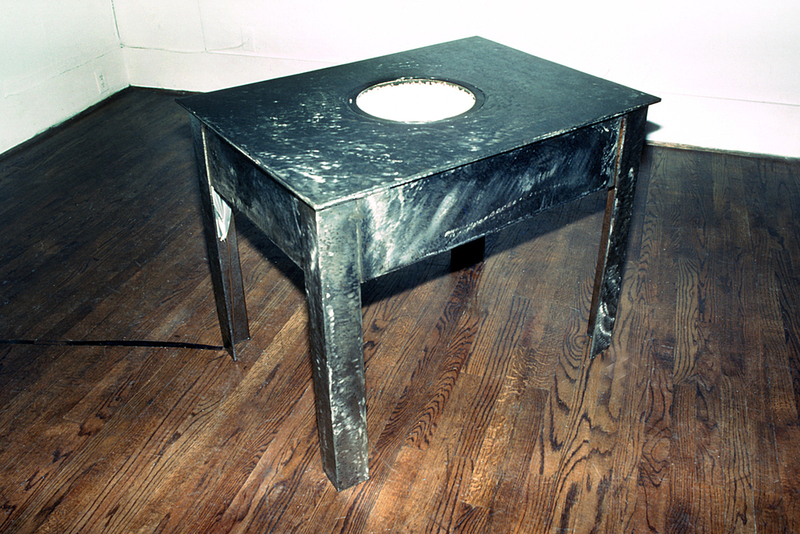 Steel table has a circular hole in center covered with a layer of thin rubber sheeting stretched across the opening. 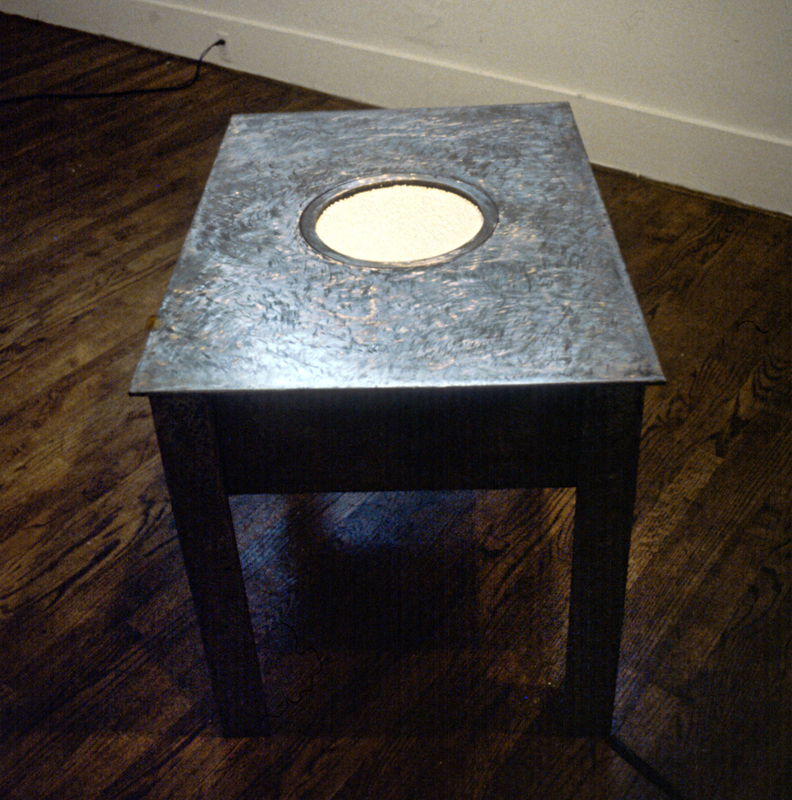 Directly below a mounted speaker is playing a recorded compilation of jets taking off and fighter pilots in conversation. 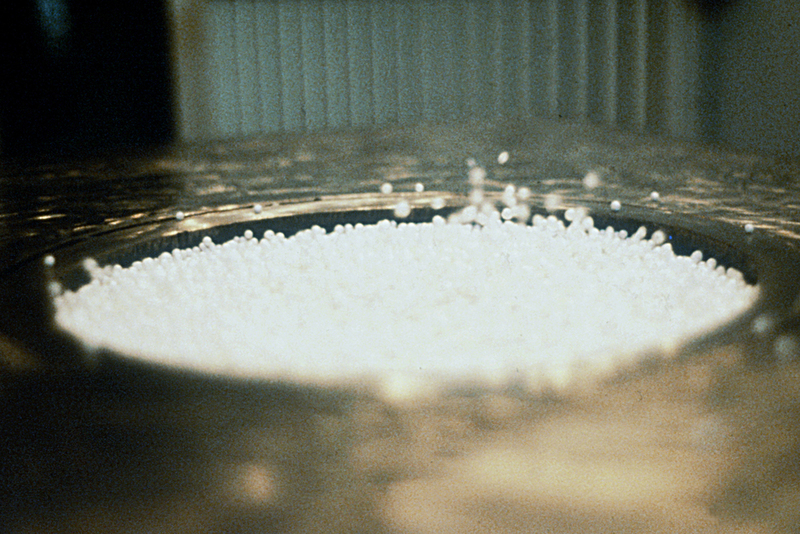 Plastic pellets lying on top of the rubber sheeting are propelled into the air at varying heights and formations in response to the nuances of the sound track.